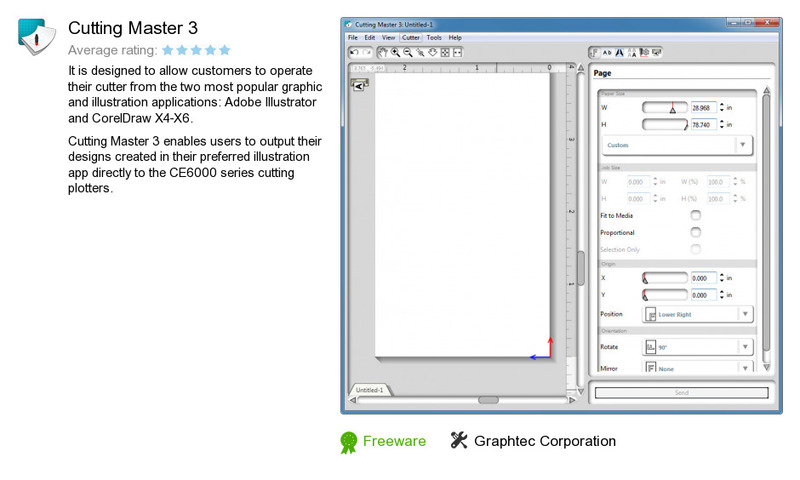 Cutting Master 3 is a software program developed by Graphtec Corporation. We know of versions 2.2, 2.1, 2.0, 1.3, 1.2, 1.1, 1.0. Version 2.2.1070.4 is available for free download at our site. Cutting Master 3 distributive has a size of 69,268,442 bytes. Graphtec Corporation also publishes Cutting Plotter Controller for CE6000 and ROBO Master.